On the face of it, teasing seems like a rite of childhood. It happens every day on the playground on playdates and in school — kids making fun of one another, playfully calling each other names. Family members tease each other all the time, right? It's just a little good-natured fun. The thing about teasing, however, is that it can quickly turn into bullying, especially with little kids who don't necessarily know how to stop a situation from spiraling out of control. Here's an explanation as to why kids tease as well as some tips on how to help your little one cope and what to do if your child is the teaser. The preschool years are ones of great growth and development, particularly in the language area. As your child adds new words to his repertoire and increases his interactions with others, he begins to understand that some phrases carry greater weight and cause more of a reaction (good or bad) than others. This is an important lesson to learn, but one that often leads to teasing. If a certain saying, "You're a baby!" for example, causes someone else to get upset, your preschooler (or another) may appreciate the extra attention. Kids also tease because it is simply what they are used to. If a child comes from a home where teasing and sarcasm is the norm or, if they watch a lot of television programs where the characters have barbed tongues, it's likely that the child will model the behavior and take it on as their own. Sometimes, for a child, just hearing from a parent that they can relate to what is going on and that you are going to help them figure out how to solve this problem is a big relief. Talk out what has been going on. Even if you have seen the teasing in action or heard a version of the story from a teacher or caregiver, find out your child's perspective on it. Knowing how your child views what is going on will help you decide how to approach the situation and come up with an appropriate solution. While it would be incredibly easy (and let's face it, liberating) for you to march over to the child or children who are teasing your little one and let them have it, that's probably not the best idea. Instead, equip your preschooler with the tools she'll need to stand up for herself. Teach her to say something like, "I don't like it when you say that!" or "Please stop teasing me now." Often a child who teases isn't expecting the person they are teasing to stand up for themselves, so a simple, strong response often works wonders. So does simply walking away, another technique that is very effective in quieting preschool-aged teasers. 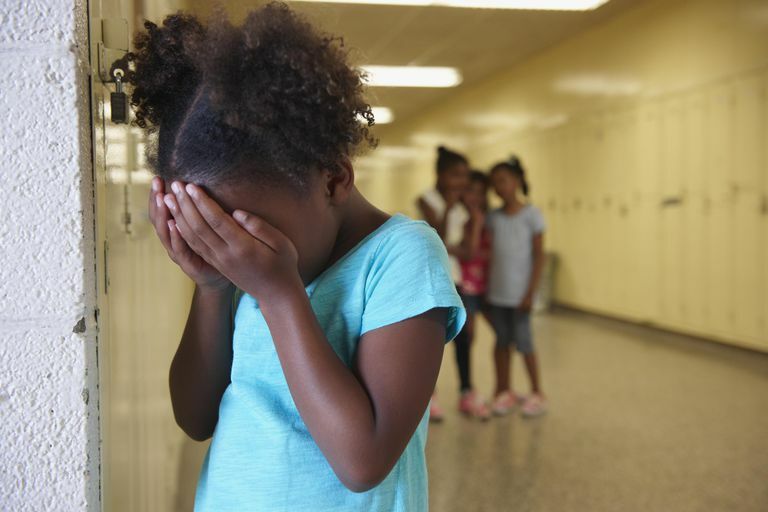 While some kids have no problem speaking up and letting everyone within hearing distance know that they've been wronged, others shy away, afraid of being labeled a tattletale. If your child is constantly being teased by someone else, tell her it's O.K. to ask a grown-up for assistance. If you have confirmed or suspect your child is having issues at preschool or daycare, then it is a good idea for you to ask for help as well in the form of talking to the teacher. Try to get a handle on what is going on and find out what you can do on your end to help your child. A child who is being teased at school or daycare will probably not take too kindly to the same thing going on at home, whether it is you or a sibling doing the jesting. Right now your little one needs a supportive environment and any ribbing — even good-natured ones — could be met with an outbreak of emotion and/or cause your child additional stress. Well this is an interesting scenario, isn't it? You've just watched your little one tease someone else, or it's been reported to you that your child has been teasing a classmate. Now what? First off, relax. Most preschoolers who tease aren't looking to be intentionally cruel. There is usually a good reason behind their action. Here's how to find out what that is. How do you interact with your child? Are you a tease yourself? No one is saying that harmless teasing between parent and child is awful, but make sure you aren't taking it too far. Is your preschooler being teased by an older sibling or relative and carrying the behavior over to someone else? What kind of television programs is he watching? There are myriad factors as to what could cause a child to tease another. Try to get to the root of the issue. Is your child jealous of the other child? If it's a sibling issue, are the kids competing for your attention? You can even try asking your child what is making her act this way. Understand, too, that major life changes such as the birth of a new sibling or parents that are going through a divorce, could be causing your child to act out. Whatever the reason your child is teasing someone else, the reality is that this is a behavior that needs to stop. Have a talk with your preschooler about how teasing can be hurtful. Ask her to put herself in the shoes of someone being teased — how would she feel if someone said mean words to her? Talk about how every person is different — the way we dress, look, talk, etc. — and just because someone is unlike us in some way, it doesn't mean they should be made fun for it.